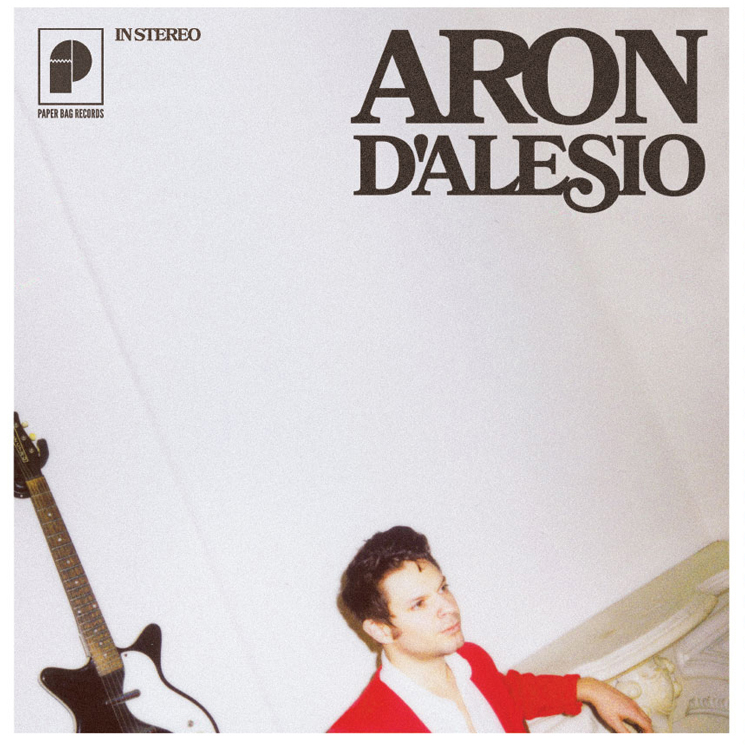 Following years of fronting Hamilton band Young Rival, Aron D'Alesio has unveiled his debut solo release, conveniently and simply titled Aron D'Alesio. This record is a one-man show, featuring a one-man band who pieced it all together on his lonesome, from recording and playing each instrument to producing and mastering it — all within the confines of a windowless basement studio in Hamilton, ON, where he began work at night and ended when it turned to day. The melodies feel warm and familiar, nodding at nostalgia without being disingenuous or forced. D'Alesio's knack for writing stellar melodies, not to mention the tone of his voice, evokes the brilliant Everly Brothers. The guitar is delightfully bright when called for — jangly here, softly strummed there — while the synths are woozy and wandering and the organic drums are masked and delivered in an electronic manner, then pushed back in the mix. D'Alesio's vocals melt into a light vibrato now and then, or are delivered in a softer hush, depending on the mood he and the tune are chasing. D'Alesio has quite a recognizable sound, both in regards to how he handles a guitar and his boyish croon (which he tests the limits of during the chorus of "Best of My Time") — and both shine on this record. Wordplay has always been a sneaky staple of D'Alesio's writing, and this record luckily keeps it going with a number of neat moments: "Sometimes you're caught up in the nightmares when you're following your dream," he sings in "Where You Going To"; "Destroyer, if you follow your heart, it could destroy ya" in "Destroyer"; and "You've been shaking hands with the wrong end of the knife" in the aptly titled "Wrong End of the Knife." "Best of My Time" will weasel its way into your mind, and features a delightfully booming melodic departure before the outro, while "Be My Baby"-esque tambourine shakes welcome the sweetness of "Answer to a Question." The crispness of "Diamond Ring" rounds out the record and carries on the themes of love, lost love and "should have paid more attention to that" love. Instrumentals "The Hume" (which opens with bird chirps and was inspired by an acid-propelled evening while on tour with the Born Ruffians at the titular hotel in Nelson, BC), "Seeya" and "Cave Zone" mix up the sonic landscape, which otherwise largely exists in a lo-fi, no-nonsense world that relies heavily on the simplicity of the songs themselves. It's refreshing to see an artist that recognizes the merits of simplicity, but it would be nice to see D'Alesio mix it up a tad on his next musical endeavour.